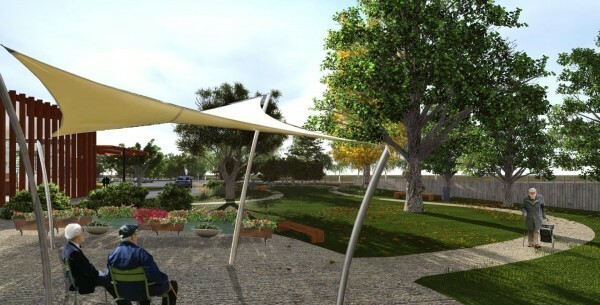 Contracts were signed today (Friday March 17) for the new Shepparton Villages $34m, 120 bed aged care residential development to be constructed on part of Chas Johnson Reserve at Tarcoola. Architectural firm dwp suters designed this new facility which will set a new benchmark for residential care in the Hume Region. Building Contractors Hansen Yuncken won the tender for the construction and with a history in north east and central Victoria spanning over 90 years, have committed to sourcing the majority of contractors for the project from the Shepparton and district area. The project will provide employment for more than 250 people over the course of the build, with a commitment to providing five local traineeships or apprenticeships for the project. In addition to the existing workforce of 420 people currently employed at Shepparton Villages, a further 60 people will be employed to service the new facility once completed. 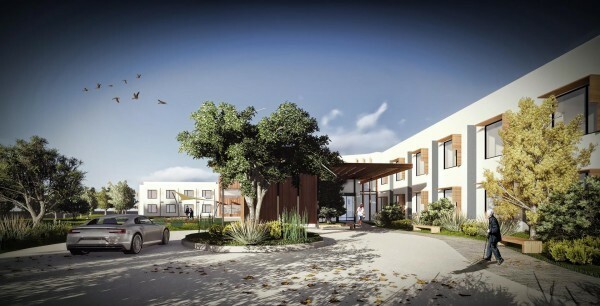 This new aged care facility will help meet the growing needs of the aged in the region by offering accommodation to residents who require low care right through to those who need high level complex care as well as support for people living with Dementia. “This new facility is beautiful and is designed to ensure that residents live in a building that is truly a home within a community,” Shepparton Villages CEO Kerri Rivett said. “This new home for 120 elderly will ensure that residents, family and staff needs are met regardless of what kind of care is required. It will be quite a landmark for Shepparton and meet the ever-increasing need for residential care in this region,” she said. 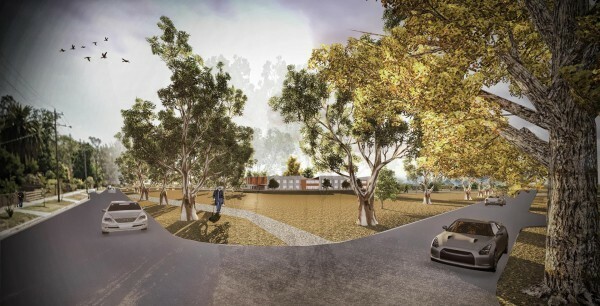 The proposed facility – to be constructed on part of land known as Chas Johnson Reserve - has been designed around 4 internal light filled courtyard gardens. The location of the land has provided a fantastic opportunity, to build a facility with large windows that look over the park and the river. Shepparton Villages Board President Merushe Asim said this was a significant project for Shepparton. “This is a very large investment for a regional not-for-profit provider and demonstrates the organisation’s unwavering commitment to serving the community of Greater Shepparton,” she said. Construction is due to begin on the site before the end of the month, with completion slated for mid 2018. Hot water will be supplemented via use of rooftop solar panels. Provisions are being made for a 99 KW solar photovoltaic array of almost 400 panels that will generate around a third of the facility’s daytime power needs and reduce the carbon footprint by many tonnes a years. Rainwater will be collected in a 150,000 litre tank for use in irrigation. The lighting design is significantly more efficient than what is required by the Building Code of Australia.